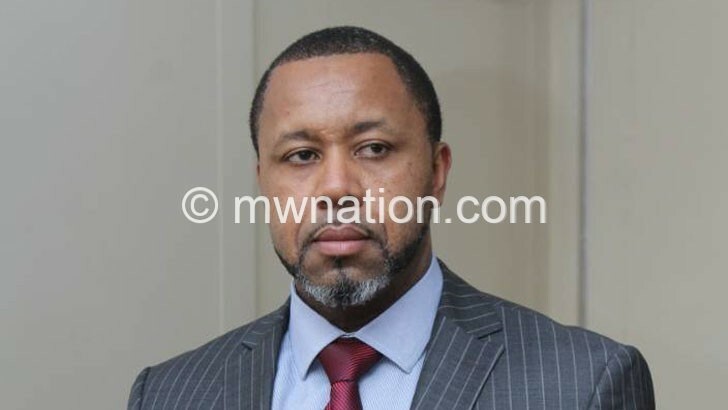 Vice-President Saulos Chilima has filed six grounds of appeal against the decision by the registrar of political parties to reject the registration of United Transformation Movement (UTM) as a political party. In the application filed as Civil Case Number 113 of 2018 at the High Court in Blantyre on September 27 2018 through private practice lawyer Michael Goba Chipeta, the Veep argues that the registrar erred in law and fact in holding that the name UTM closely resembles that of another political party known as the United Transformation Party (UTP). The Vice-President, who is promoted as SKC after initials for his full name Saulos Klaus Chilima, also challenges the registrar’s assertion that the office-bearers of UTM deliberately moved to mislead the registrar regarding the true name of UTM by seeking to register it simply as UTM. Further, Chilima argues that it was unfortunate that the registrar decided to interpret UTM as meaning United Transformation Movement when there was no such evidence before him and that the law does not require the registrar to look for the meaning of the name that he thinks of abbreviations. The Vice-President, who is set to lead UTM in the May 21 2019 Tripartite Elections as presidential candidate, also asked the court to quash the decision of the registrar of political parties to refuse the registration of UTM. He also asked the court to order the registrar of political parties to register UTM within 48 hours of the pronouncement of the court. In a letter to UTM dated September 21 2018 following its application, deputy registrar of political parties Chikumbutso Namelo said the use of the abbreviation instead of the full name was a deliberate scheme to mislead the registrar because there is another registered political party with a similar sounding name. The deputy registrar was apparently referring to UTP registered by businessperson Newton Kambala who earlier announced his partnership with UTM at the movement’s rallies but has not committed to deregistering his party. Namelo asserted that UTM was an abbreviation of United Transformation Movement based on regalia, party cloth, fabric, T-shirts and flags that were being used by members of the United Transformation Movement. The court has since set October 16 2018 as the date to start hearing the appeal case. In the appeal, Chilima further argues that UTM’s application had application form one which included two duly certified copies of the constitution and manifesto of the party, list of particulars of the leader and office-bearers of the party and list of particular of registered members of the party in excess of 100 members. He said: “It should be pointed out that the registrar went on a frolic of his own looking for evidence that UTM is an abbreviation of United Transformation Movement. Chilima also argues that at no time did the registrar of political parties invite the officer-bearers of the party to satisfy himself as to whether what he thought was evidence from public knowledge was indeed correct information, saying the name of the party is decided by the party itself and not an outsider. “For the sake of argument, assuming indeed that UTM was initially known as United Transformation Movement, changed its mind that for purpose of registration and thenceforth its name was going to be UTM, there is no law that forbids that exercise. Such a move is perfectly legal,” he said. In an interview, Namelo said there was no court order that was served compelling his office to register UTM within 21 days as it was earlier reported. However, he confirmed being served with a Notice of Appeal on Monday this week. Chilima broke ranks with the governing Democratic Progressive Party (DPP) in June this year. In 2003, some elements within the then governing United Democratic Front (UDF) unsuccessfully thwarted attempts by Brown Mpinganjira to register his National Democratic Alliance (NDA) when they registered a political party in the same name then later changed it to New Dawn for Africa in another attempt to stop the registration after the High Court intervened.